Wu Chow brings authentic, farm-fresh, modern Chinese food to the heart of downtown Austin, offering dishes representative of all eight styles of Chinese cuisine, as well as dim sum service on Sundays. Through their local farm and ranch partnerships, Wu Chow is able to provide guests with fresh, regionally-influenced dishes. Before its opening, Wu Chow had been listed as one of Zagat's Most Anticipated Restaurants of 2015 and at the center of much local fanfare. 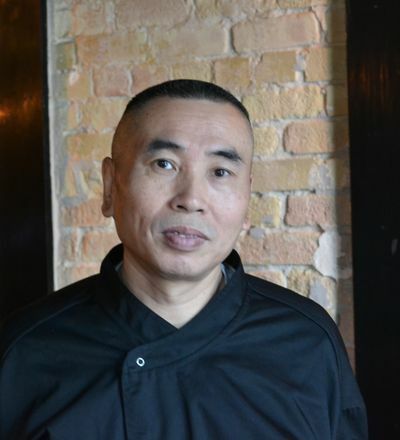 Executive Chef Ji Peng Chen was born, raised, and trained in China and incorporate this heritage and history into the menu. Favorites such as Shanghai Soup Dumplings, Salt & Pepper Squid, Yu Xiang Eggplant and Mapo Tofu all have a place on the menu, in addition to seasonal specials such as Beijing Roast Duck. Through our strong passion for philanthropy and giving back Chameleon Companies is proud to sponsor several local and national charities while continuing to support and build community throughout Texas and beyond. AA Alliance Austin; Aids Services Austin; Austin Ballet; Austin Child Guidance Center; Austin Entertains; Austin Food & Wine Alliance; Austin Park’s Foundation; Austin Pet’s Alive; Austin Theater Alliance; Casa Carnitas; Children’s Day Out; CoCoBundle; Creative Action; Dell Children’s Foundation; Dining Out for Life; Eanes Education Foundation; Elizabeth Ann Seton; Habitat for Humanity; Hideout Theater; Hill Country Conservancy; Jewell Ball; Kids in the New Groove; Lifeworks; Manos de Cristo; Make a Wish; March of Dimes; MJ+M Foundation; Movember; No Kid Hungry; Operation Blue Santa; Operation Turkey; Paramount Theater; Pratham; Ronald McDonald House Charities; Rosedale School; Rise School; Safe Place; Safe Austin Children’s Center; Soccer Assist; Susan Komen Foundation; Sustainable Food Center; Texas Campaign for the Environment; Texas Commission for the Arts; The Ann Richard’s School; The Center for Child Protection; The Junior League of Austin; The Rise School of Austin; The Rosedale School; The Trevor Project; Ubuntu; Urban Roots; Water to Thrive; Wayside Schools; Westminster Presbyterian Day School; Wine & Food Foundation; Women’s League.